It was pretty exciting in downtown Bellevue this weekend. The concrete pour at the Lincoln Square expansion site was the largest single construction project pour ever in the State of Washington. Pretty impressive…it’s just another example of the continuing growth in Bellevue’s central business district. Lincoln Square is one of half a dozen major commercial or residential projects currently under construction downtown. While not everyone likes the changes to Bellevue in recent years, and I can appreciate and understand your opinion, it was inevitable downtown was going to change. 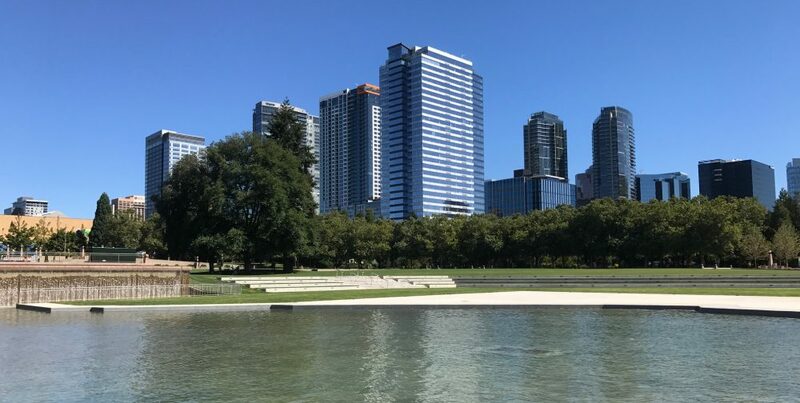 Bellevue is a great place to live, and the city’s Comprehensive Plan, designed in the 1970’s, laid the groundwork for what the city would become. That plan shaped what Bellevue is today and will continue to define how Bellevue will grow and change in the future. So on the weekend of an historic 24 hour concrete pour at the city’s next mega mixed-use project, I come across this piece of history – a pay phone booth at Meydenbauer Bay Marina. Seriously, I didn’t think there were any pay phone booths left anywhere on the Eastside. If you need a reminder of how things used to be before we were tethered to our smart phones, take a walking tour of the city and stop by the waterfront for a piece of nostalgia. 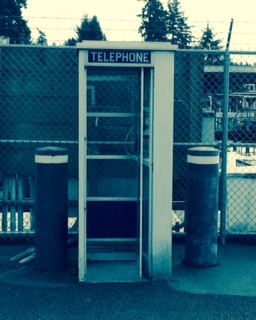 It might even still work – what does a pay phone booth call cost these days?